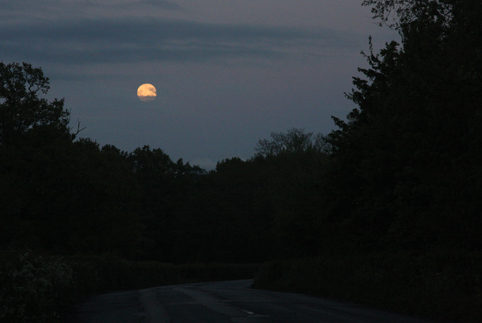 I made my husband stop the car last night when I saw the moon rise over the country road we were driving along. He wasn't particularly keen to stop, as we were late for where we were going already, but he kindly found somewhere to pull over and I quickly took this photo. I hope you enjoy the full moon energy this weekend, wherever you are! Nice! Moon shots can be so difficult but you've captured this one! PE Cor - thank you very much! Glad you like the picture. I love your 'Pagan Eye' idea, and the name is fabulous, too. :) There are some very beautiful moon photos on this blog; as PE Cor says, they can be so hard to photograph, well done. Eowyn - Thanks for your kind comment!